I love shrimps/prawns and I do tend to over eat at times. I have to watch myself. I specially love fried shrimps the ones you get at the Chinese Seafood Buffets. 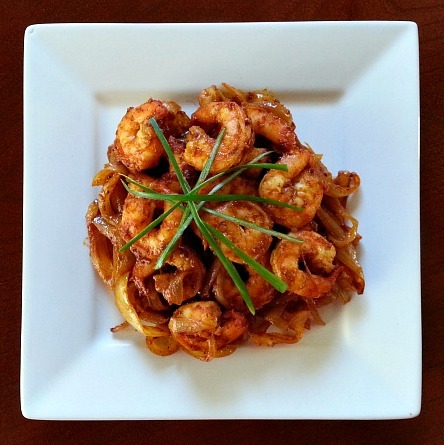 This recipe of spicy sautéed shrimps can be eaten in a couple of ways. It could be used as an appetizer or a side dish. Love it with lightly buttered sliced french bread, baguette or crusty loaf and topped with these shrimps. It’s yummy. 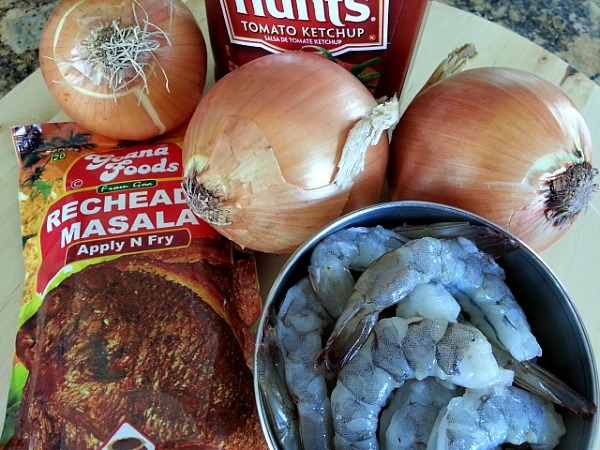 Clean the shrimps, wash and apply a little salt and keep aside for 10-15 minutes. Serve it with rice or bread. On a side note and my humble opinion I wanted to mention that Indian food on a whole is overcooked then most cuisines. At times you may find meats and seafood more chewy than what you are used to but the flavors of the spices come more together when cooked for a longer time and makes the food very flavorful. Plus guessing with all the salmonella out breaks in the US I think it’s a great idea to over cook then under cook foods. WebMD does suggest the same. The reason I say this is because in India we rarely heard about salmonella outbreaks compared to when I came to the US. This looks like a wonderful recipe! Thanks for the likes on Messy Kitchen, Happy Belly! Looking forward to more of your wonderful dishes in the future! I just found your blog – it makes me so happy. I have very fond memories of Goa and I LOVE the food. Awww…Thanks for stopping by :-). I appreciate your kind words. It sure were Alexandra, they got oven the next day :-). Let me know how it goes. Thanks Agnes :-). You have a beautiful photographic blog. 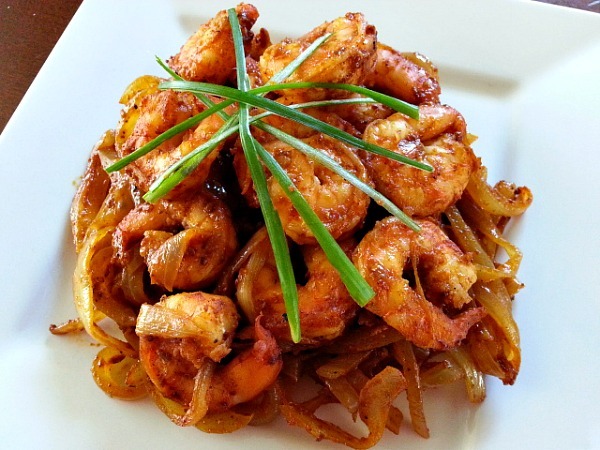 The shrimp, the slightly caramelized onions, the ketchup….really nice! Oh wow!! We love this recipe!! Thanks for stopping by our blog and liking our latest post – quiet the compliment coming from such a polished page as this!! Looking forward to seeing you in our feed! Wow the shrimp looks like great quality. Nice recipe! I love shrimps and these look amazing ! This looks so tasty!!! Love your recipes!! Oh my gosh, you are making me hungry. I must buy some of your fabulous ingredients and try these. I plan to do some serious shopping on your website- waiting for one ingredient to come in that is out of stock.